Fourth Circuit strikes down North Carolina voting restrictions. 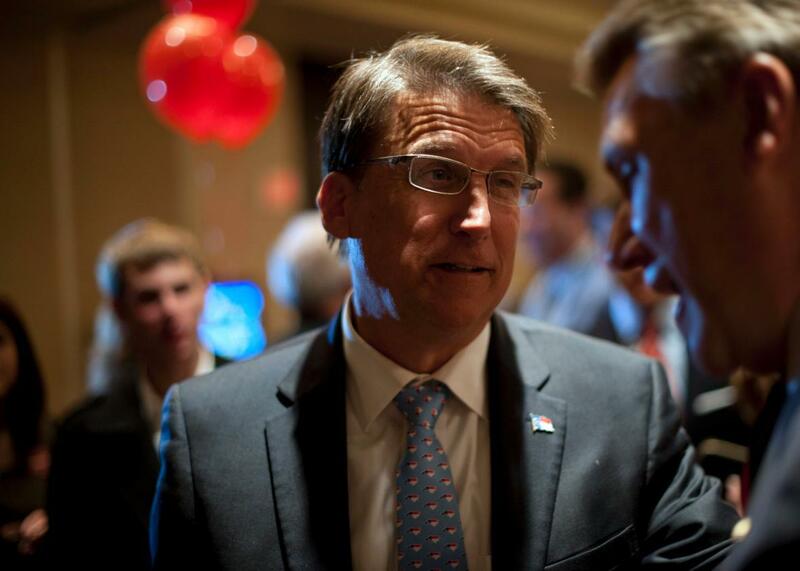 The party’s over for North Carolina Gov. Pat McCrory, whose attempt to restrict voting rights by race was ruled unconstitutionally discriminatory on Friday. On Friday, the United States Court of Appeals for the 4th Circuit invalidated North Carolina’s stringent new voting restrictions, holding that the law violates both the United States Constitution and the Voting Rights Act. The North Carolina measure, the 4th Circuit held, has a discriminatory impact on black voters, impermissibly burdening their voting rights under the VRA. More boldly, the court also held that the law was enacted with discriminatory intent, designed by the Republican legislature to curb black voting rights in violation of the 14th Amendment’s Equal Protection Clause. This dual finding of discriminatory impact and intent makes the 4th Circuit’s decision the boldest judicial rejection of voting restrictions in years. As the court explains, North Carolina passed its omnibus voting bill, SL 2013-381, almost immediately after the Supreme Court freed the state’s voting laws from federal “preclearance”—meaning that after nearly 50 years under supervision, the state was finally free to change voting laws without federal oversight. The legislature promptly “requested data on the use, by race, of a number of voting practices.” And “upon receipt of the race data, the General Assembly enacted legislation that restricted voting and registration in five different ways, all of which disproportionately affected black voters.” The new law created draconian requirements for valid voter ID, eliminating those IDs most commonly used by black voters; cut back early voting and killed same-day registration; eliminated preregistration for teenagers; and eliminated out-of-precinct voting for voters who accidentally showed up at the wrong precinct in the correct county. The State’s very justification for a challenged statute hinges explicitly on race—specifically its concern that African Americans, who had overwhelmingly voted for Democrats, had too much access to the franchise. The legislature’s racial data demonstrated that, as the district court found, “it is indisputable that African American voters disproportionately used [same-day registration] when it was available.” … [I]n-person assistance likely would disproportionately benefit African Americans. SL 2013-381 eliminated same-day registration. As a result of the law’s discriminatory intent and impact, the 4th Circuit concludes, each of its central provisions must be invalidated under the Equal Protection Clause and the VRA. Friday’s decision was issued by a three-judge panel; if North Carolina requests a rehearing by the full court, it will almost certainly lose again at the left-leaning 4th Circuit. Moreover, there is simply no chance that the state can gather five votes on our current Supreme Court to reverse Friday’s ruling. It seems quite likely, then, that North Carolina’s discriminatory voting law is, like Texas’, dead in the water. That means one of the most brazen attempts in modern times to limit black voters’ access to the polls has now officially failed.